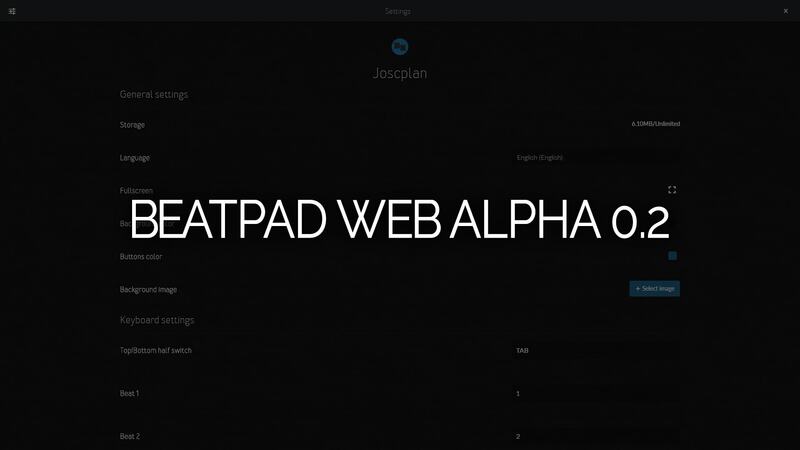 Beatpad Web alpha is now available for everyone. You can now use it and have a taste of what Beatpad has become. Please note that this is an alpha version and may have some errors. If you encounter an error of some sort don't forget to report it on the Technical Support section on the forums. Beatpad Web will be undergoing some minor changes as the days go past to fix minor issues we find along the way, so if you find that it doesn't work don't worry as we may be working on it. You can now use the Beats page to submit your own beats and download every Beat that will be submitted there from now on. There are a few things to take on count when using Beatpad Web. Regular members have a cap of 15mb of total storage while Backers and Supporters have unlimited storage. Few languages are still on the works. Added Swedish and German translation. Fixed some minor design bugs. 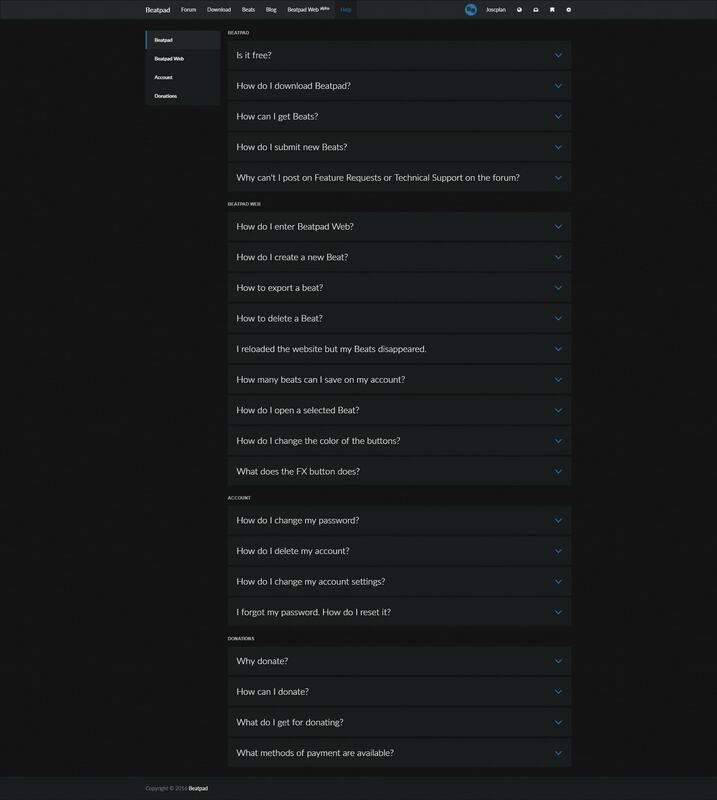 Now, as of today we are introducing the brand new Help page, which has all the Frequently Asked Questions we have received along the way. Please note that this is just the first iteration of it and we will try to include more information as the time goes by to ensure you are filled up with all the information you need. 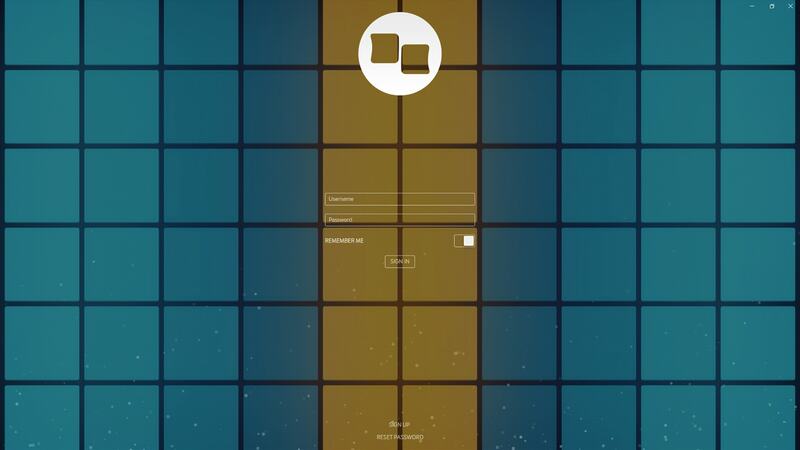 Finally, regarding Beatpad Desktop version I'm proud to present you a teaser on how it is looking so far. We are working to deliver you the best result possible. Note this is just a Teaser an might or might not change in the future or in the final release. We would like to hear what you think on the forums, lets get to talk on what you would like to see on Beatpad or what you don't like of it as well!